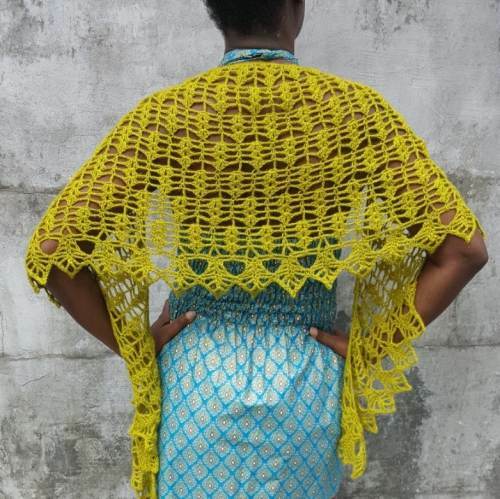 New Spring Leaves is a light, lacy, warm shawl measuring by 67 inches wide by 16 inches deep at center. Using one 1 skein Juniper Moon Herriot Fine and US size F crochet hook, it is a quick crochet project. The skill level is intermediate.